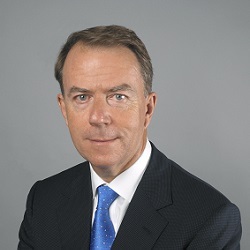 Scott Burns is the former Managing Partner of Brown Rudnick’s London office, which he established in 1997. Before retiring from Brown Rudnick, Scott focused his practice on representing European companies as they raised capital from venture capital funds, private equity investors and the public markets, and representing venture capital funds in connection with their investments. Scott has also represented European companies on cross-border transactions including mergers with US businesses, acquisitions, the sale of assets, the opening of US subsidiaries and in dealing with US employment issues. As part of Brown Rudnick’s Family Office team, Scott was also part of collaborative, cross-disciplinary initiatives assisting clients in this area. Early in his career, Scott served as counsel to divisions of major US bank holding companies, and for many years was the General Counsel of a NYSE-listed financial services conglomerate. For seven years, Scott was CEO of a US real estate company which developed $700 million of commercial real estate property and which managed $3 billion of real estate assets for independent investors.